They answered all of our questions, they answered them honestly, correctly, and quickly. Thom’s interest in solar is rooted in its economic viability, social responsibility, and its contribution to resource conservation. For Thom, solar has an invaluable positive social and ecological impact. He emphasized how it’s our job in the United States to learn how to harness infinite energy sources such as sun and wind. 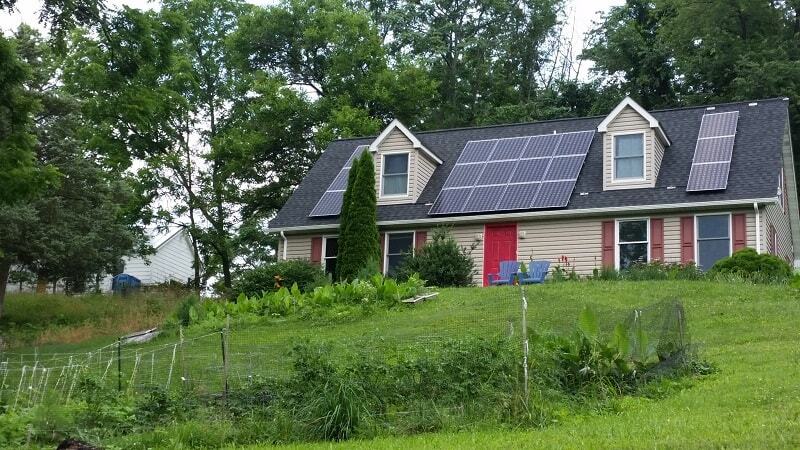 Before going solar through the Frederick County Solar Co-op, Thom had been investigating his solar installation options for years. 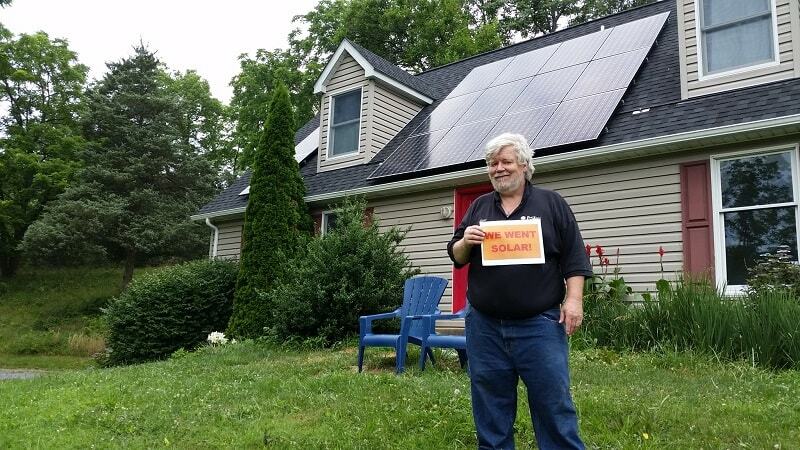 He was not able to fully dedicate to solar until he heard of the Frederick County Solar Co-op. Through this co-op, Thom was connected to an installer that was affordable as well as flexible to the type of roof he had. On top of a great financial deal, Thom was impressed with the co-op’s ability to answer all questions he had throughout the process, ‘they answered all of our questions, they answered them honestly, correctly, and quickly.’ After receiving a proposal from the co-op’s selected installer, Thom signed a contract and installed a 5.3 kW system on his home.